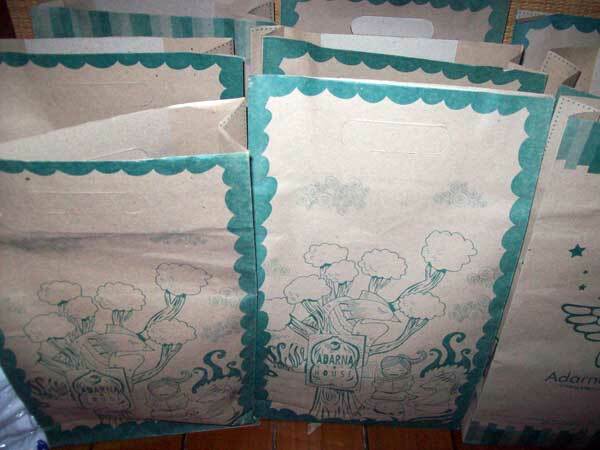 These environmentally friendly or eco-friendly paper bags were part of the prizes/tokens given to mommies who attended the Christmas Party for bloggers last Dec.
I’m linking this to Green Monday. This entry was posted in Environment friendly and tagged giveaway bag, paper bag on May 15, 2011 by Mommy Yam. wow! daming giveaways. Happy GM. Wow, dami-dami naman neto Mommy Yami.. Need lang po thanks ng marami and my working at home has a new look thanks much talaga. Nice bags. What occassion are you having them? Hope to see you in my G Monday post here. This look really nice. Hopefully i can attend the next eb.